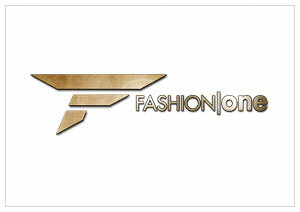 New York, December 3, 2012 – Fashion One LLC, the international channel for fashion, entertainment and lifestyle programmes, announced the launch of the channel on the Entry Pack of Chunghwa Telecom, the largest operator of broadband multimedia services in Taiwan. The channel will commence telecast on Chunghwa MOD channel 97 starting December 3, 2012 after landing in Taiwan earlier this year in October. Broadcasting in crystal clear high definition, Fashion One LLC is a cutting-edge, global television network focusing on the synergy between lifestyle, travel, entertainment, film and fashion. The international TV network seeks to entertain the female audience in Taiwan with content that reveals fashion in every aspect of life. "Fashion One LLC is excited about the collaboration with Chunghwa Telecom, one of the largest and most prominent media companies in Taiwan," said Ashley Jordan, CEO, Fashion One LLC. "The cooperation is part of our momentum in establishing strategic long-term partnerships in Asia, we look forward to provide the best entertainment with localized original programming to their 118 million Chinese speaking audience." Besides the world's 4 biggest fashion weeks in New York, London, Milan and Paris, the channel will also debut with Men's couture from Paris and Milan, as well as design from Perth Fashion Festival Spring/Summer 2013. Audience can enjoy the glamour showcase of the latest spring/summer 2013 collections featuring famous designers including Dolce & Gabbana, Emporio Armani, Christian Dior, Stella McCartney, Gucci, Prada, Versace, Paul Smith, Vivienne Westwood, Ralph Lauren and Tommy Hilfiger.